Registration for 2019 Institutes is Open! What is your student doing this summer? Academic challenges don’t have to end in May. Build practical and competitive skills in a fun and safe environment with the help of the country’s sharpest debate minds. 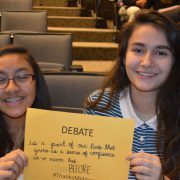 Why Do Students and Parents Love Debate? Each day students engage in activities that push and hone their ability to process challenging material and synthesize their analyses into spoken and written word. Focused practice identifying, locating, and processing data to solve today’s global challenges. There’s a bunch of things that debate can give you, but two of the most important are self-confidence and an understanding of the world around you. 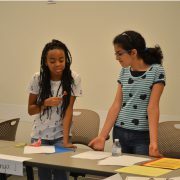 [Debate] has helped me learn skills necessary to engage with other people and have the critical reading skills to ensure that school is a breeze.